The perfect spot for a chat over coffee or a long afternoon with a book, this loveseat is one of the most exceptional and versatile pieces in our range. Its solid wood frame - built and hand-sanded by dedicated Amish woodworkers right here in the USA - boasts delicate curved accents and painted rope details that give this loveseat an air of timeless quality. Taken together with the plush cushioning and hand-picked upholstery, the whole package really is stunning. 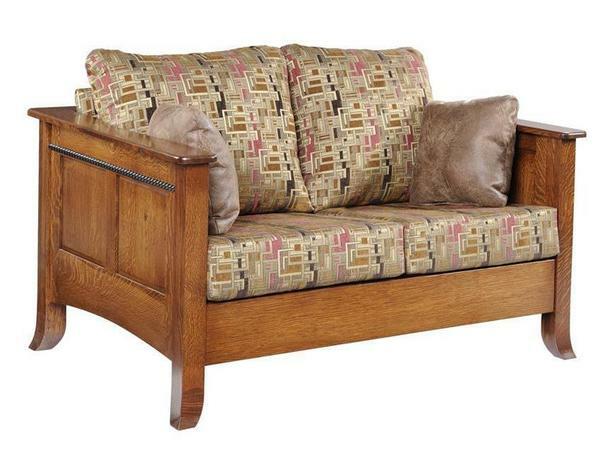 Use the menus above to choose your Cranberry's ideal wood, stain, and upholstery. If you run into any questions at all, or would like to discuss having our woodworkers craft a completely custom piece for your home, please don't hesitate to get in touch by phone or by email - we would love to hear from you.